Listen up you scruffy-looking nerf herders, this January Star Wars #1 is coming to stores near you and according to Marvel Comics‘, it is projected to sell over a million copies. Perhaps you can buy your copy at your local Maul… *Warning: many more puns to come** The first of the comic series will be the “top-selling single issue comic book in the last 20 years.” Furthermore, the first million-selling periodical comic book sold “exclusively though direct market channels” without using newsstands. Say what you want, but there’s no denying the force is strong with this one. Star Wars #1, written by Jason Aaron with artwork by John Cassaday, will take place between New Hope and The Empire Strikes Back and features all the major characters in the film. 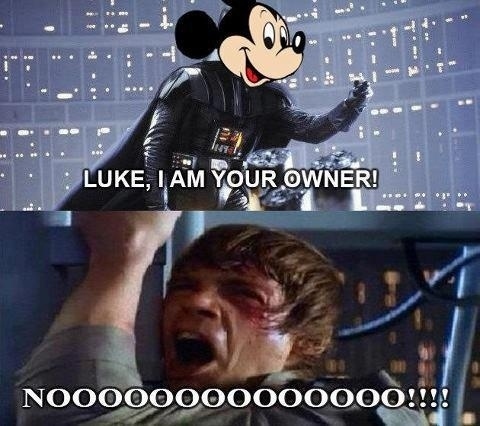 Previously, Dark Horse Comics had the Star Wars license including video games and prose novels into the franchise mix, but the rights reverted to Marvel once Disney purchased Lucasfilm. Marvel is also hosting Star Wars Launch Parties in prep of the Star Wars #1 release in January. Retailers who plan to host a launch party will receive exclusive promotional buttons, cake toppers and more in the Star Wars Party Kit from Marvel. Furthermore, new Star Wars attractions will even appear at Disney theme parks based on the upcoming films. Unlike C-3PO hopefully classic Star Wars fans’ lot in life is not “made to suffer” and perhaps reluctant fans will be won over by the new comics, and the 2015 Star Wars: The Force Awakens film. 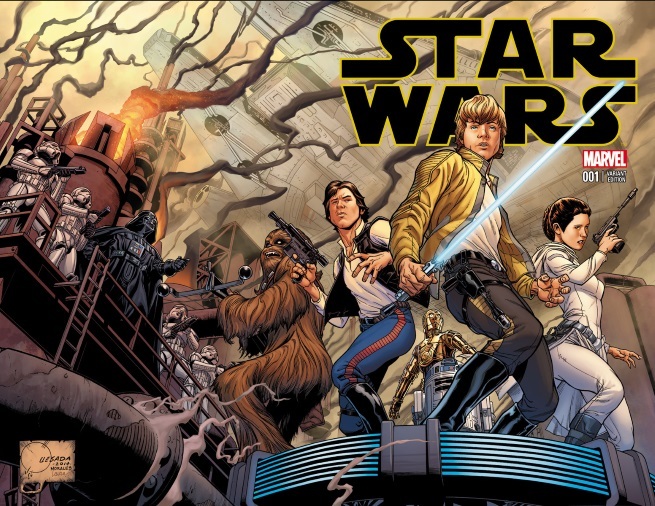 Star Wars #1 goes on sale January 14th, 2014.